CNS Canada — Heavy rains across the U.S. Midwest and a murky outlook on international trade appear ready to drive down the soybean market in the lead-up to next week’s supply and demand report. The U.S. Department of Agriculture will release its monthly estimates on Sept. 12 and traders have already started to take positions. 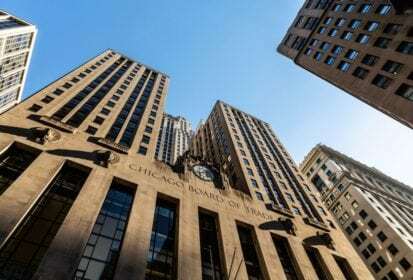 “We saw a slight rebound on Friday but we may remain in a narrow, sideways trading range until the (report’s) release,” said Terry Reilly of Futures International in Chicago. The most-active November contract rose eight U.S. cents during the week ended Wednesday, to $8.4425 per bushel (all figures US$). The market continued to receive support from the successful trade negotiations between Mexico and the U.S.. However, the industry is still keenly watching to see if Canada will also be included in the renegotiation of the North American Free Trade Agreement. Going forward there are ideas elevator space in the U.S. could be an issue this fall if Chinese tariffs on soybeans remain in place. Weather issues are also hanging over the market in the near-term. “The heavy rainfall in the Plains is expected to last for the remainder of the week and could threaten some of the soybean quality down in the Delta region and lower Midwest,” he said. Reilly estimated soybeans will hang in the $8.25-$8.60/bu. range over the short term. A recent rise in demand has helped steady the corn market. Futures were on the downswing before the U.S. and Mexico reached a NAFTA deal in late August. “There’s been a pickup in export interest in neighboring countries, especially Mexico,” he noted. The dominant December contract rose about nine U.S. cents per bushel on the week, closing Wednesday at $3.6525. “For now corn looks like it will remain in a $3.55-$3.75 trading range,” said Reilly. Getting back to the psychologically-important $4 per bushel mark would be difficult, he said, absent a sudden weather event, lower acreage intentions in Brazil or significant delays to the U.S. harvest. — Dave Sims writes for Commodity News Service Canada, a Glacier FarmMedia company specializing in grain and commodity market reporting.